Fantastic racing and fantastic outfits bring style and a dash of colour to a great day out at one of Yorkshire's premier racecourses. - With a Premier Enclosure Badge, you also have access to all other Enclosures. - The Grandstand & Paddock ticket also gives you access to the Silver & Picnic Enclosures. The most cost effective Enclosure is the Picnic Enclosure! With a large expanse of grass, this area is normally packed out on Sunday race meetings with families enjoying a picnic, children's rides, bouncy castles and the like! It's open on every day and is especially popular with racegoers who like to bring their car in to the Course and park up next to the rails! There's a tea bar and fast food units in this area! Pontefract Racecourse is brilliantly situated just half a mile from Junction 32 of the M62. Links with the A1, M1 and M18 are all within 10 miles of the Racecourse. Leaving J32 of the M62 (the Xscape junction), follow the signs for the Racecourse towards Pontefract town centre. The Racecourse is situated on the right hand side in Pontefract Park. For those of you who like to follow Sat Nav directions, our postcode is WF8 4QD. Leave M62 at jct 32 Racecourse is 0.5 miles from jct 32. Parking is available in the Picnic Enclosure at a cost of £15 per car with a maximum of 4 adult occupants. This price includes a racecard and your entry in to the Picnic Enclosure. 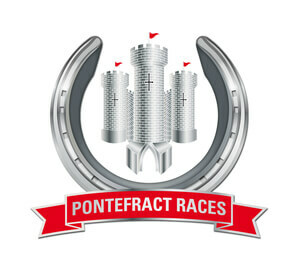 Racing is recorded as having taken place in Pontefract as early as 1648, just before the local Castle was taken by the forces of Oliver Cromwell. Races were held in the meadows near the town but these were discontinued by 1769. The townsfolk restarted the sport in 1801 and it has continued ever since. In 1827 the races were held in September and reported as being very fashionably attended. While it cannot "claim to be one of Yorkshire's major courses” it was used for some major races during World War II when other courses were out of action. Pontefract installed a photo finish in 1952 and was also the first English course to have a dope testing facility. The course traditionally began its afternoon race meetings at 2.45 pm - later than most other courses - so that miners at the adjacent colliery could finish the morning shift in time to go racing. This remained the case until the colliery closed in 2002. Today the racecourse is left-handed undulating course with a sharp bend into the home straight. Horses drawn low usually have the advantage. The final 3 furlongs of the track are uphill, making it quite testing. The course was originally a horseshoe of 1 1/2 miles, but in 1983, it was converted into a full circuit of about 2 miles. This made it one of the longest continuous flat racing circuits in Europe and allowed it to stage one of the longest races in the calendar at 2 miles 5 furlongs 133 yards.